OMG, you guys. 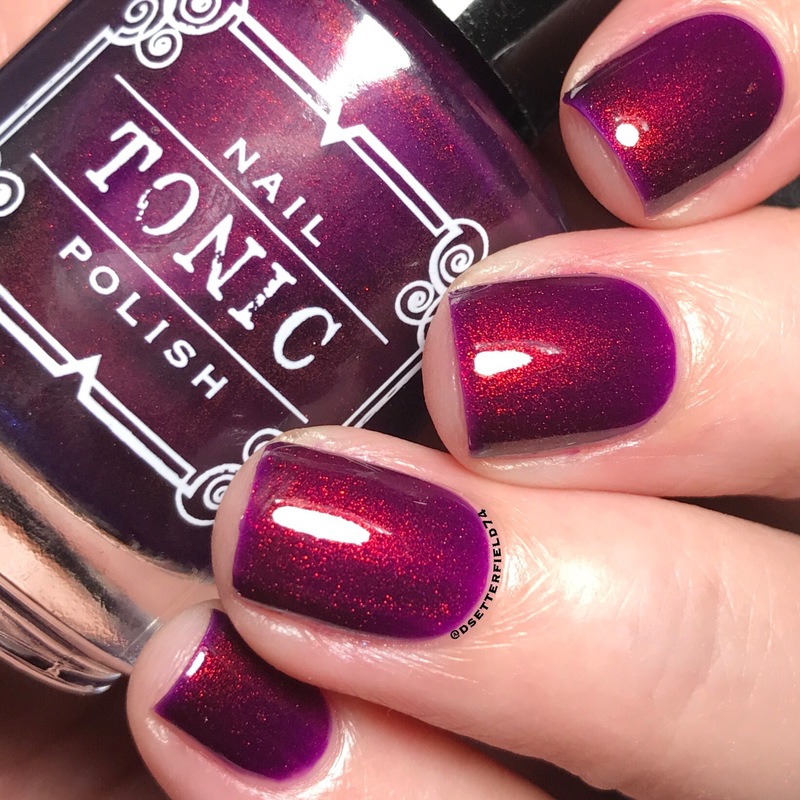 I’m not even gonna waste time with this blog and just get right to the point: Tonic Polish has a new collection coming out and suddenly BEST DAY EVER doesn’t even begin to describe this scenario. A legit no joke hoarding situation is lurking, my friends! Gimme all the Tonics. Plus 27 backup bottles, at the minimum. 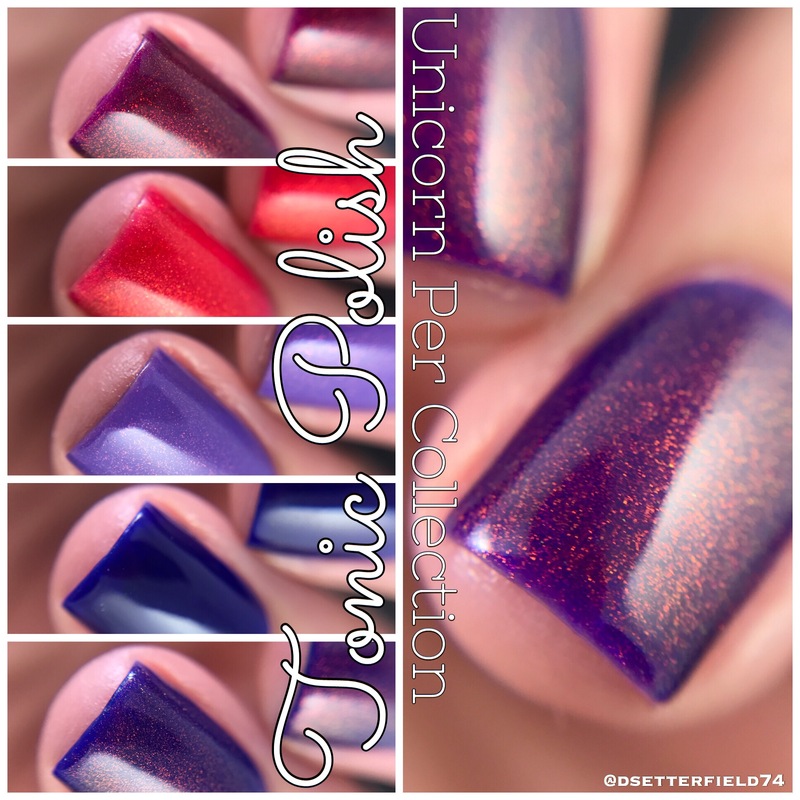 And now your best day is about to get best-i-er cuz this collection is full of UNICORN PEE. As in, the most special and rare pigment in the entire world, discontinued for years and only found by sheer luck and/or superhuman effort to the trillionth degree. Lindsey’s admin and lovely friend, Chris, has scoured the earth from end to end and found us a few bottles, so now we all owe her our firstborn childrens cuz I think that’s how this thing works, right? I might be thinking of something else. Either way, though, Chris and Lindsey, THANK YOU! It’s about to get suuuuuper elbow jabby in here in about 2.5 seconds. Brace yourselves. Cuz nobody does Crazy Nail Lady quite like you. Well, in our defense, you can’t just release new Tonics out in the world and then expect anything normal to happen next. Ladylike composure = out the freaking window with this one. 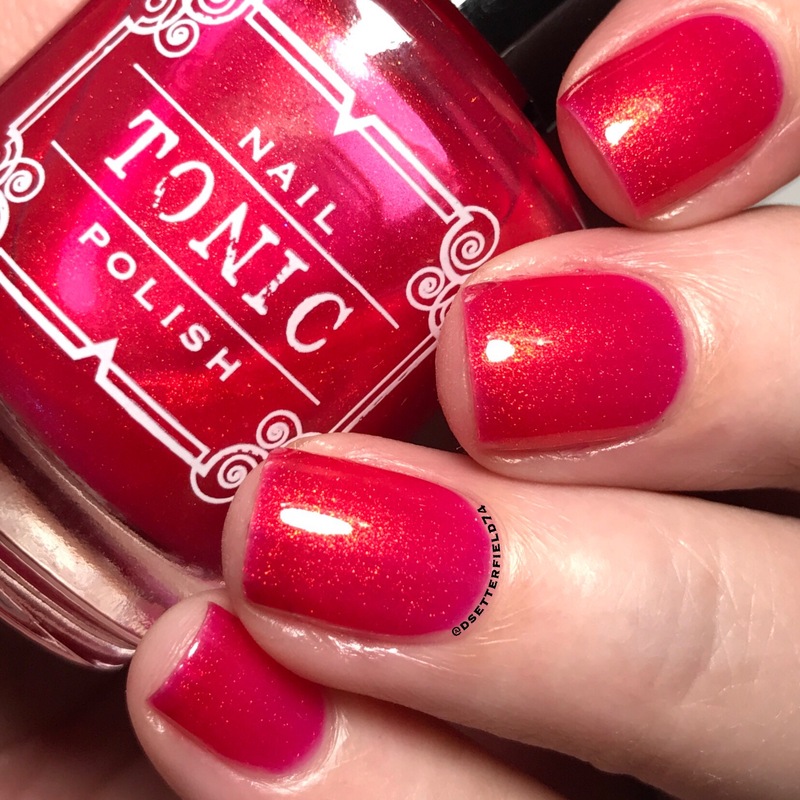 Thought I’d start with this one as it’s the only polish in the collection not containing unicorn pee. Because true to its name, it is the BEGINNING. The base. The foundation on which to build your Unicorn Pee dreams. It’s the freaking glue that holds everything together, people! In other words, YOU NEED HER. Plus, all you blue lovers just died a little. Seriously, you did. 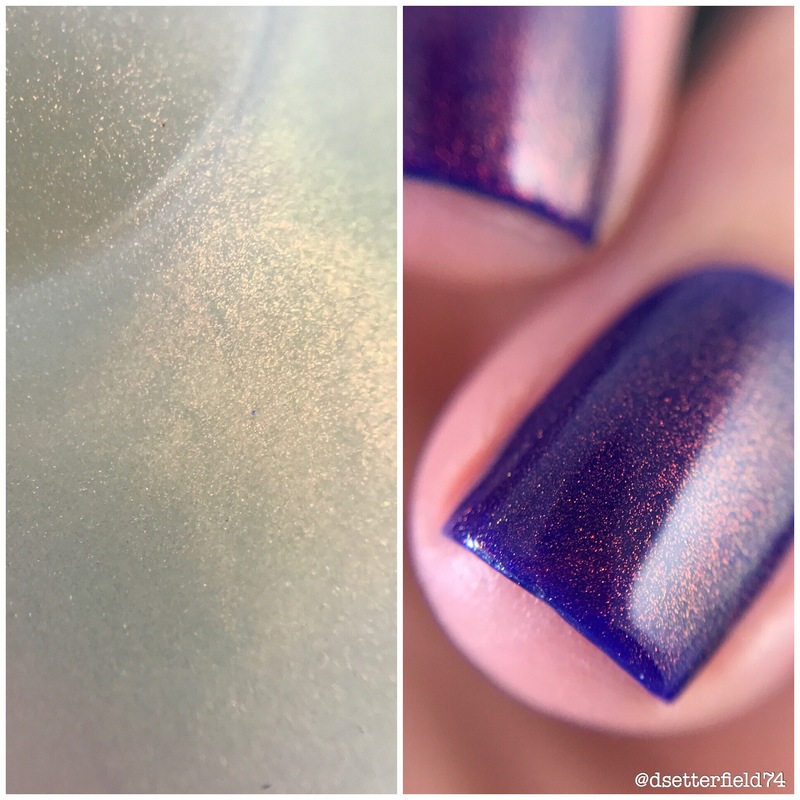 I used two regular coats for my swatch, but some people may need three, especially if you have longer nails. 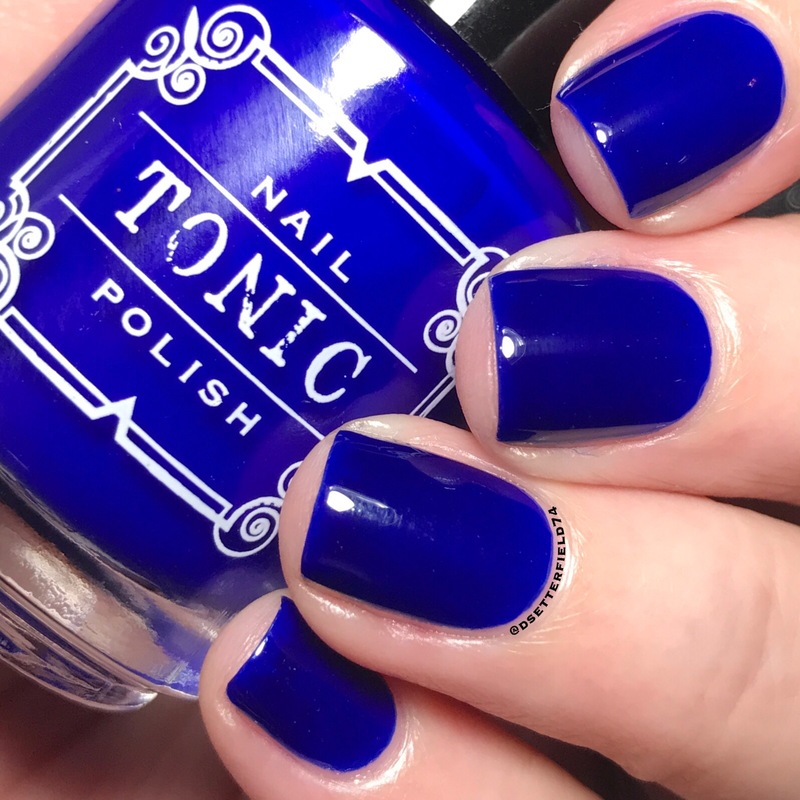 Also, because of the rich blue pigment in this one, it has that delightful skunky smell that we’ve all come to expect from similar polishes. IT IS COMPLETELY NORMAL. No need to google search symptoms of poisoning because y’all know I already did that. Turns out, blue dye just stinks. For once, I’ve actually shown you a thing! 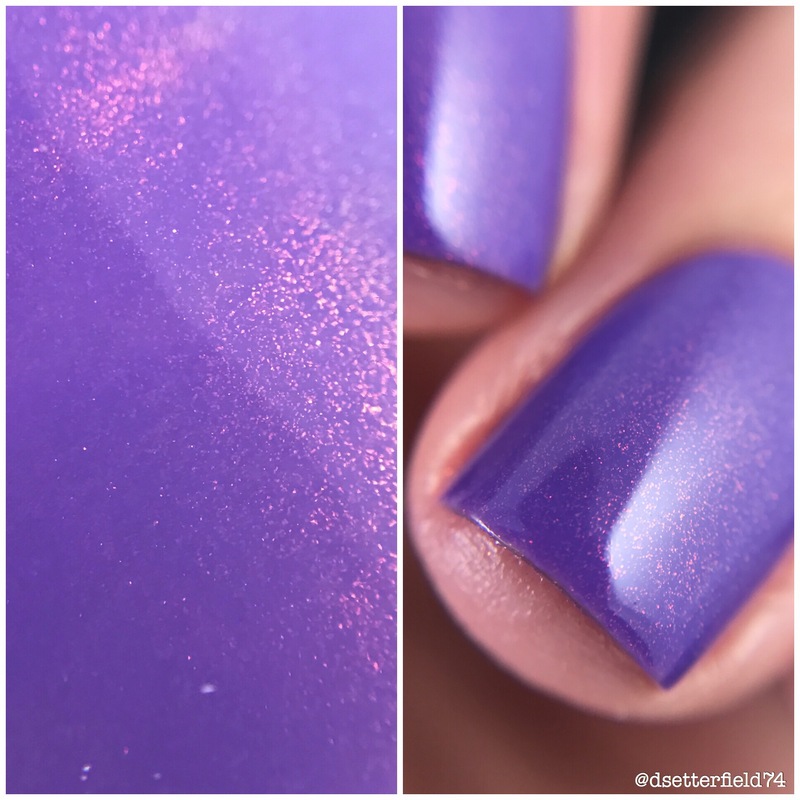 I put one layer of this topper over my Happy Beginning base because I seriously tried to be a real blogger this time. And now you have proof I think things through from time to time, sooooo … certainly an award is officially coming. 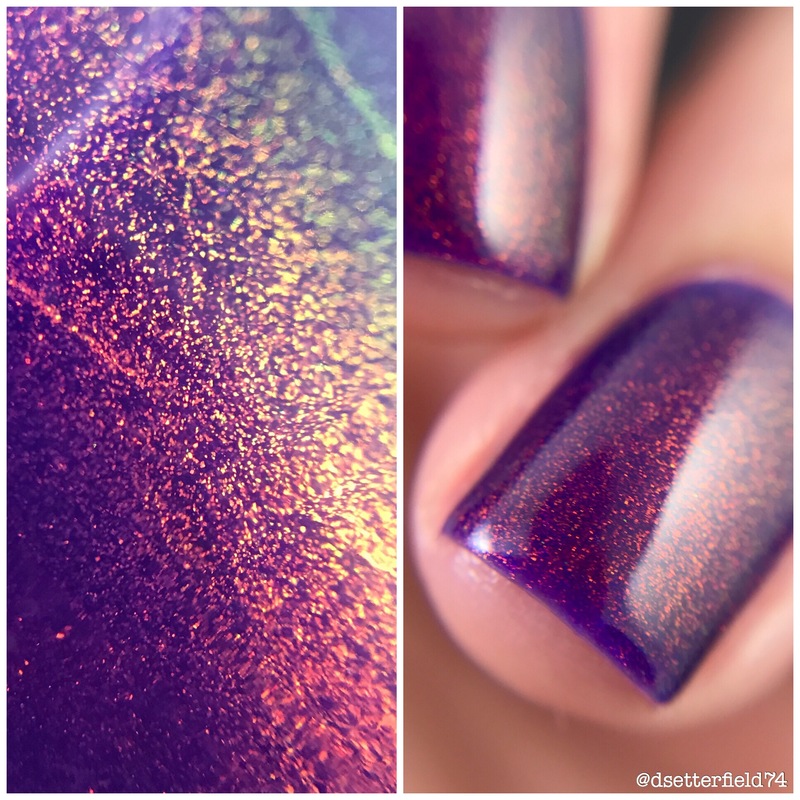 Again, I did two coats and got pretty good opacity, but those with longer nails might need three coats. 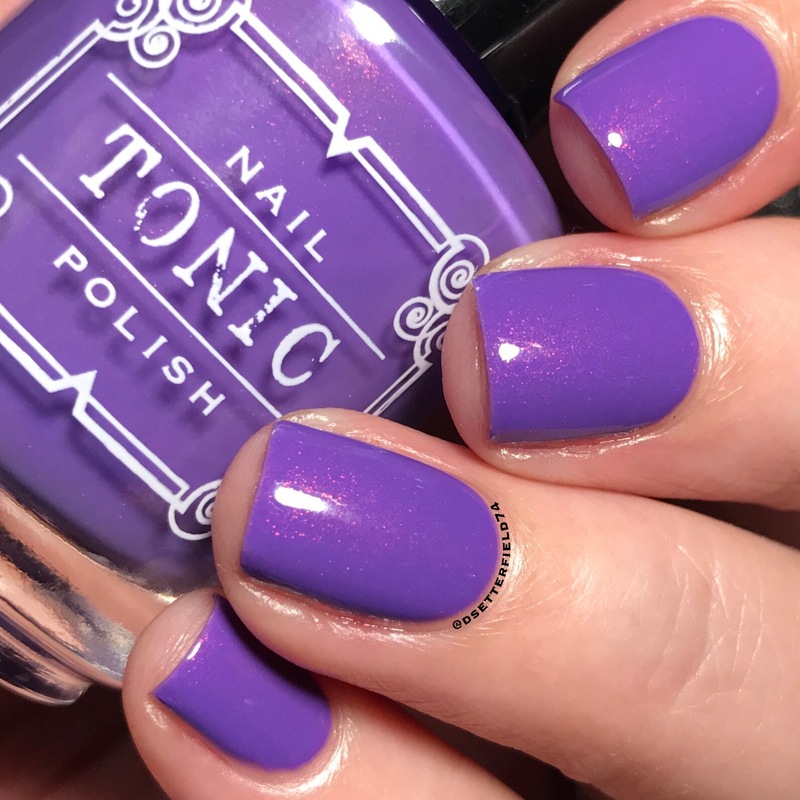 This color is an ode to one of Tonic’s best sellers, Lula – so if you loved that one, you’ll love Serendipity. 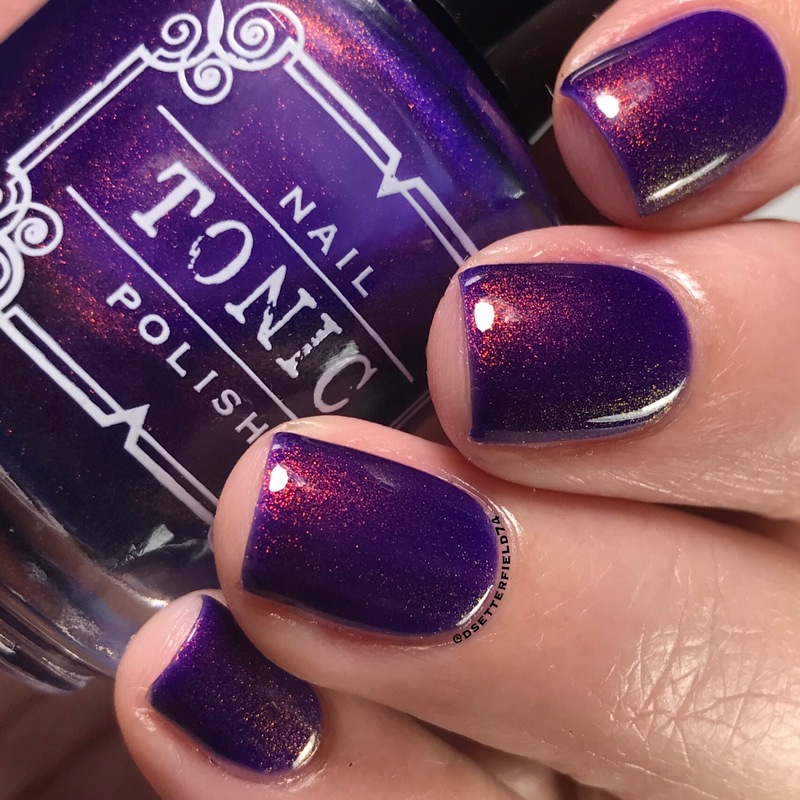 Seriously, this purple is ridiculously yummy. Like, if I didn’t have 7,397 blogs left to write, I’d just pass the hell on out now. Gah! 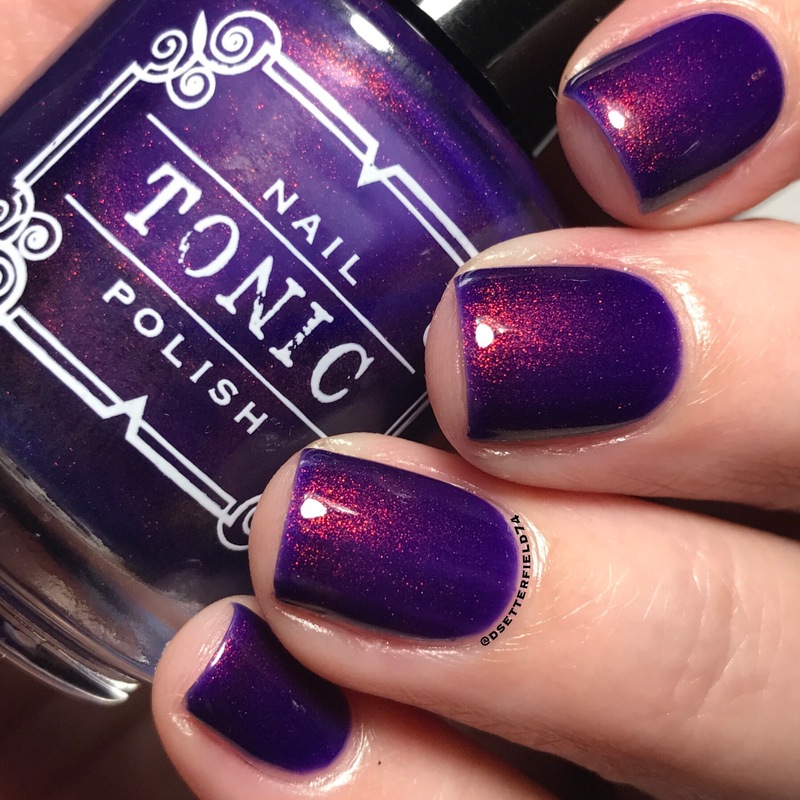 Two coats for this one too, but some may prefer three. That’s the deal about my short nails – visible nail line (VNL) isn’t much of a thing for me. 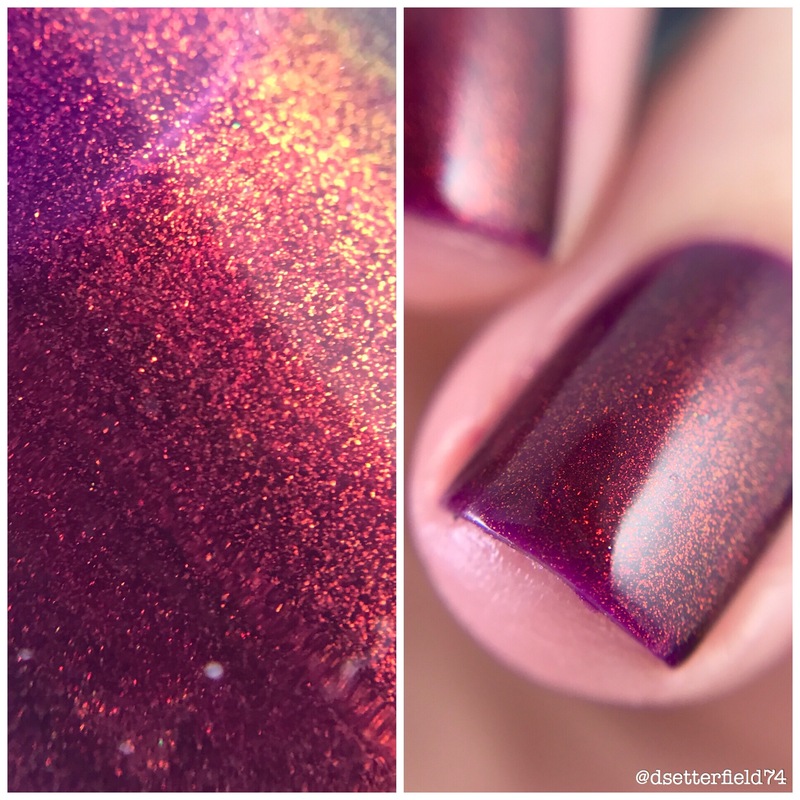 Although, I could easily go to Polish Mountain with any of these colors. One layer, two layers, three layers, infinity. I swear, nail polish makes my brain just go away somewhere. Suddenly, I’m 9 years old in a room full of office supplies. DREAM SCENARIO, is what I’m saying. On the other hand, Polish Mountain requires effort, and the last time I attempted effort, I got rug burn in my buttcrack and not even for a very good reason. LAME. In other words, I gave up after two coats. Clearly, I’m also not very good at goals. Because of my short nails (blah blah blah), I got opacity in three coats. 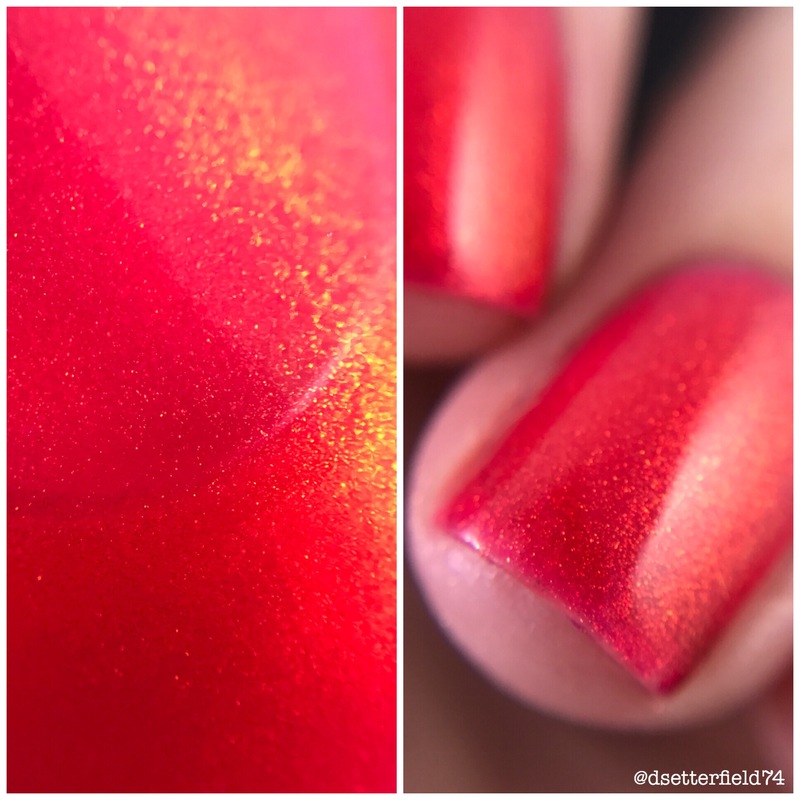 But this polish is intentionally made sheer, so some of you may never get opacity. 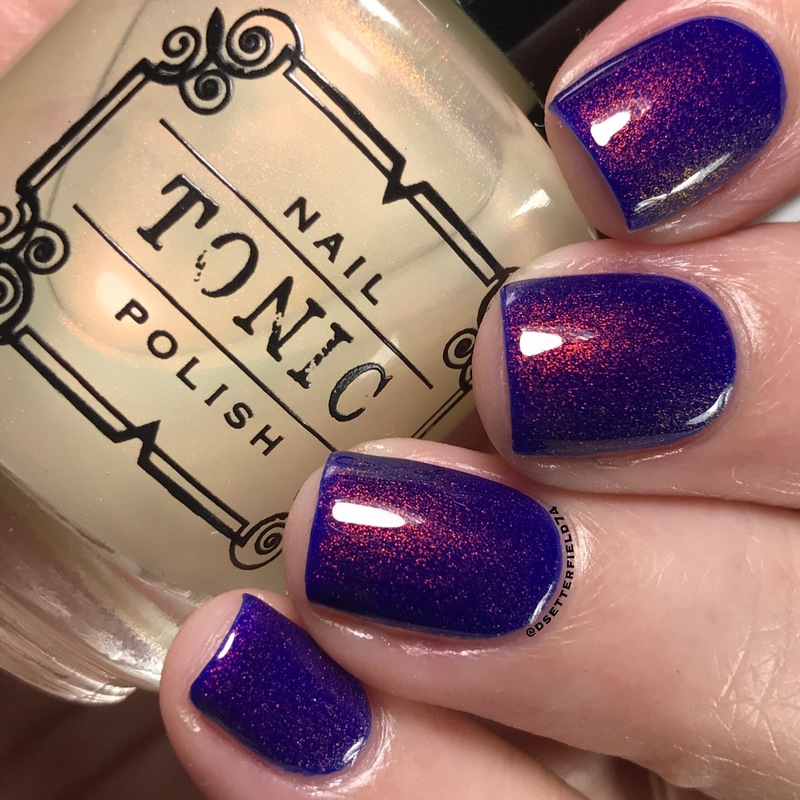 Wouldn’t it be awesome if I did an additional mani to show you this polish used as a topper over Happy Beginning like I did with the other one? Cuz of that carpal tunnel-enducing high-fiving frenzy from earlier, y’all think I could keep up that “thinking things through” charade for more than 5 seconds? Have you read this blog before? You don’t get to Lazy, Level EXPERT by going the extra mile, is what I mean. Regardless, I really love this red. I think it is STUNNING on it’s own. The UP shows up so nice and pretty; it simply glows. But in case you wanna see Uniporn as a topper, click here for my friend, Amanda’s, blog. Towards the bottom she posts some lovely photos of this one over Happy Beginning that you’re just gonna swoon over. Take your drool bucket, though, just in case. 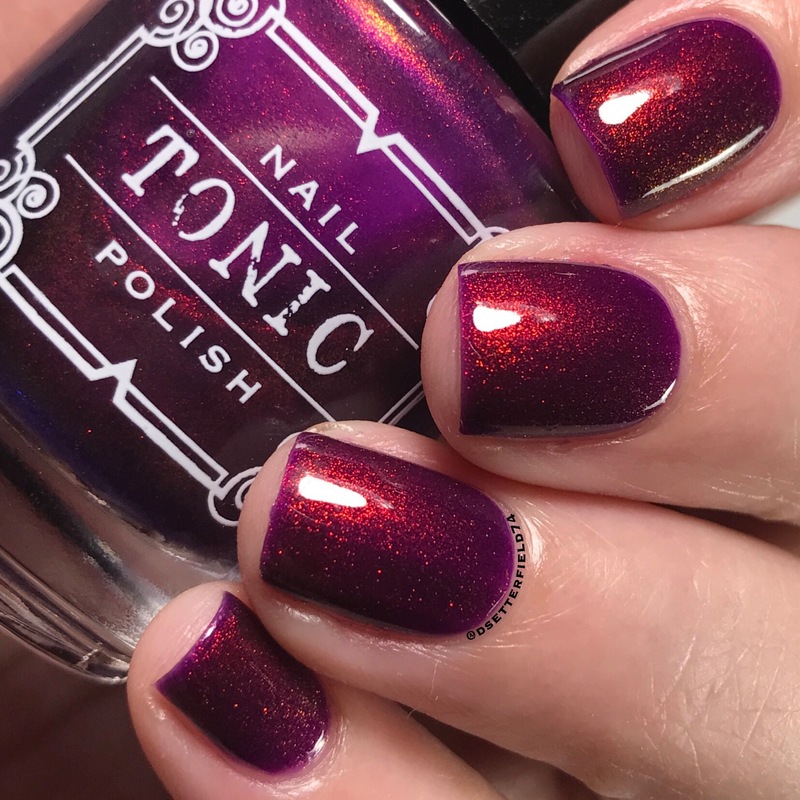 Also, this polish is the official Tonic Facebook Fan Group custom. Usually, membership is required to purchase these customs, but Lindsey is opening this one up to everyone. HOWEVER, because at this point it’s the only logical next step, click here to join the group. DO IT. I mean it. To. Die. For. That’s not even a typo. 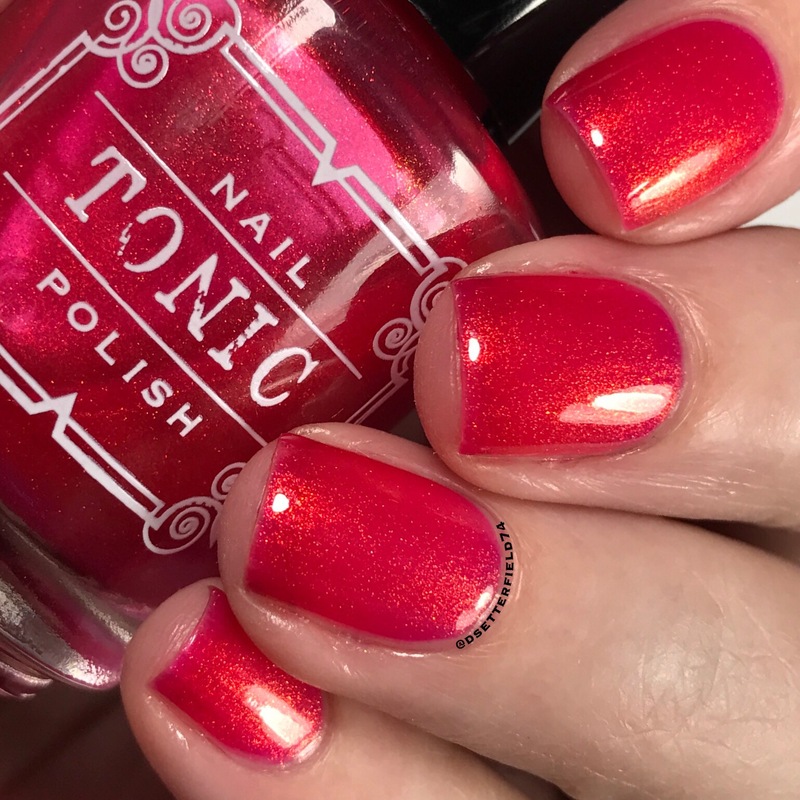 Every single one of these polishes is a noodle leg epidemic waiting to happen. 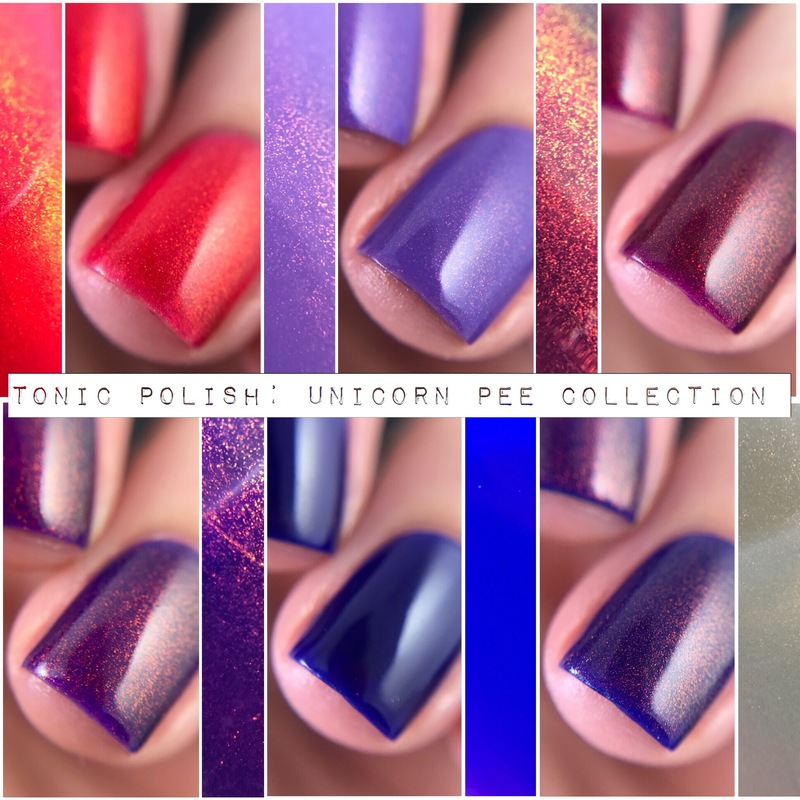 Formulas are perfection, colors are rich and beautiful, and, well – there’s that thing about unicorn pee. Basically, if it’s rare, limited edition, discontinued, never to be seen from again, I want it. Could be a bottle full of dog poo, but that’s beside the point. Not that this is anything compared to dog poo, but you know what I mean. Hopefully. Right? Well there’s that stupid thing we were talking about earlier. Clearly I’ve rambled on a skosh too long. UGH. Shut up, Brain. Because these are super limited edition and will NOT be restocked, customers can only order one bottle of each color for the moment. After the first 48 hours, if there are still bottles left, the sale will open back up for multiples. 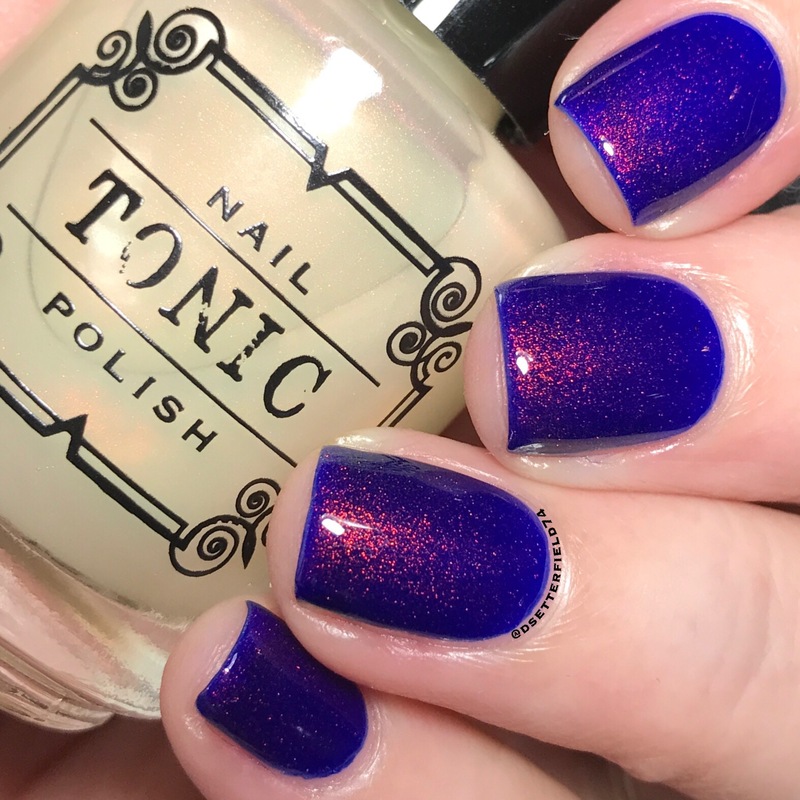 In addition, every new Tonic release seems to break the dadgum internet, so make sure you’re first in line. Cuz getting NO BOTTLES is not an option. Are you properly panicked yet? You should be. Yeah you do! These are little troublemakers, that’s for sure! Let me know what you end up getting!